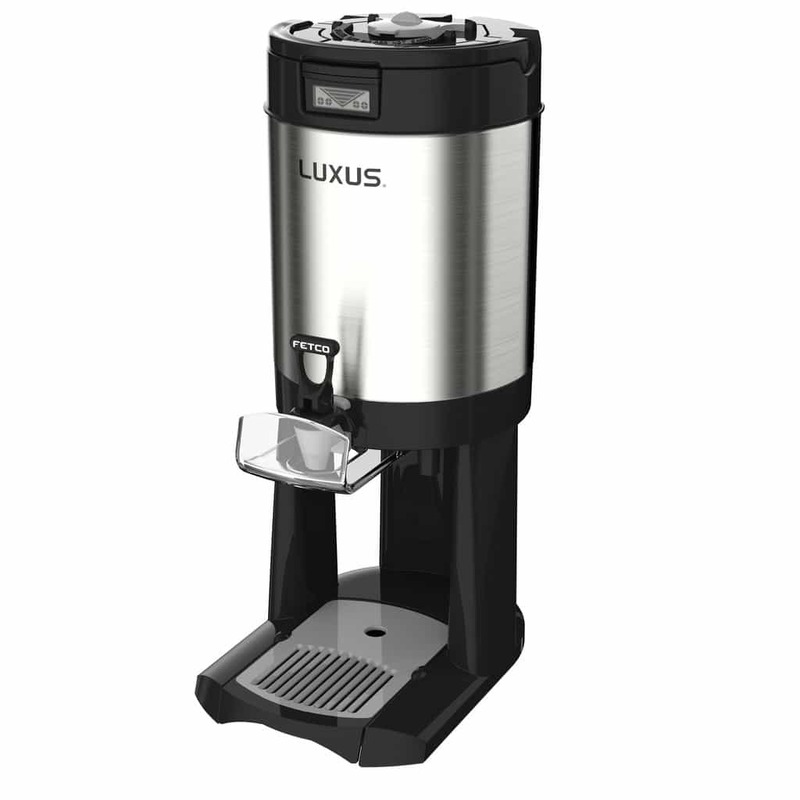 The Fetco Luxus L4D Thermal Dispenser is the perfect self-serve option for break rooms, buffet lines, or office waiting rooms. 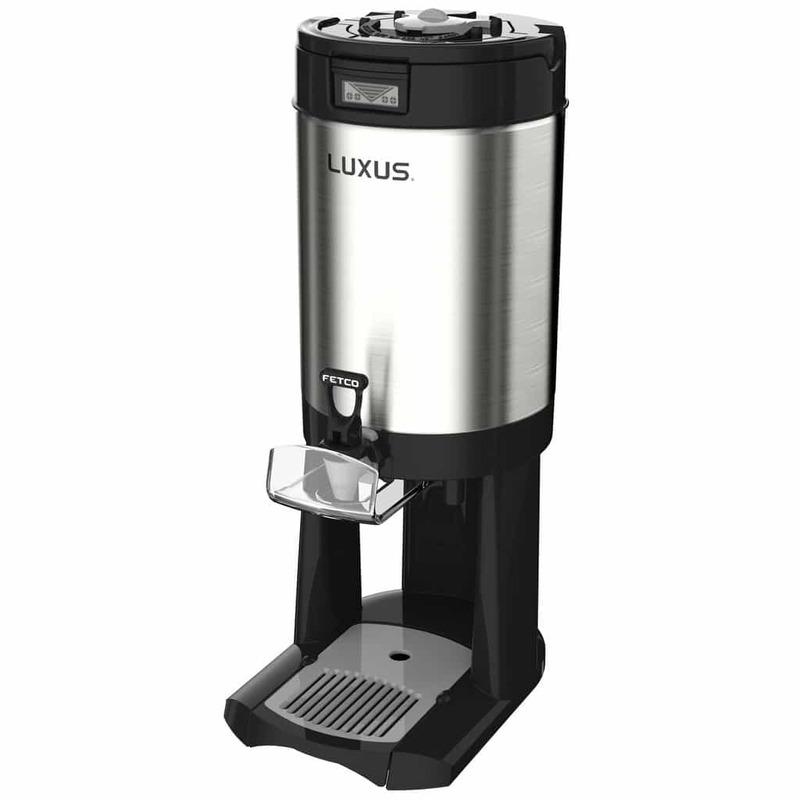 Stores coffee at optimum temperature for up to 4 hours. Available in 3 sizes. 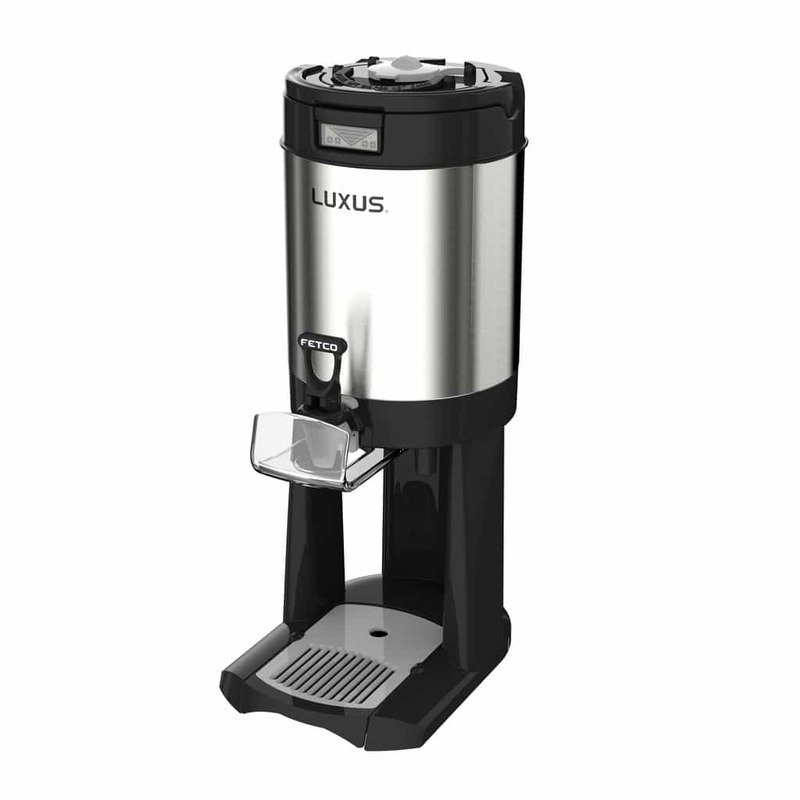 The Fetco Luxus L4D Thermal Dispenser is a perfect solution to keep your coffee warm and fresh-tasting for up to 4 hours. 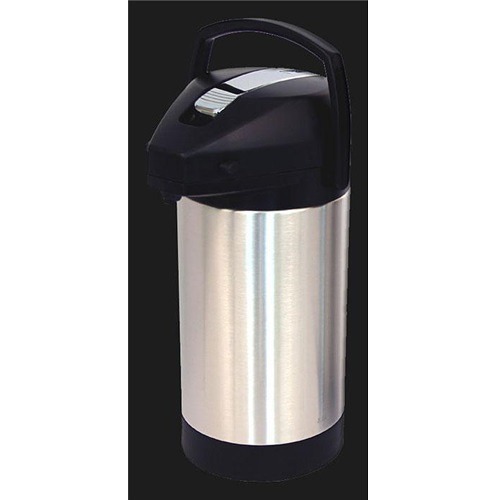 There is no separate power source required to keep coffee at a prime serving temperature, which makes the L4D completely portable. To ensure optimum flavor, the Freshness Timer is standard equipment on the Fetco Dispenser. 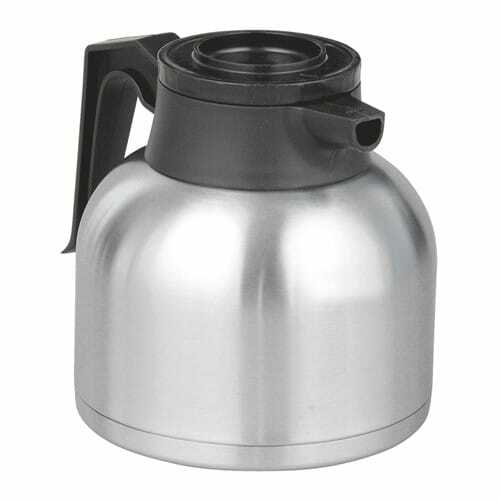 Using the Flip And Hide Brew-Thru Lid means that coffee brews directly into the Thermal Dispenser so you never have to transfer hot liquids between multiple containers. 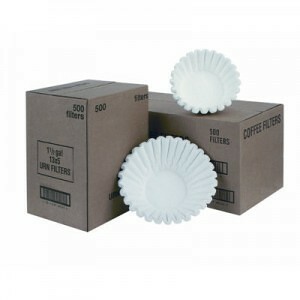 Due to the airtight vacuum seal, there is no need to clean up messy leaks. The volume indicator lets you know when liquid levels are getting low so you can provide an uninterrupted supply of coffee. 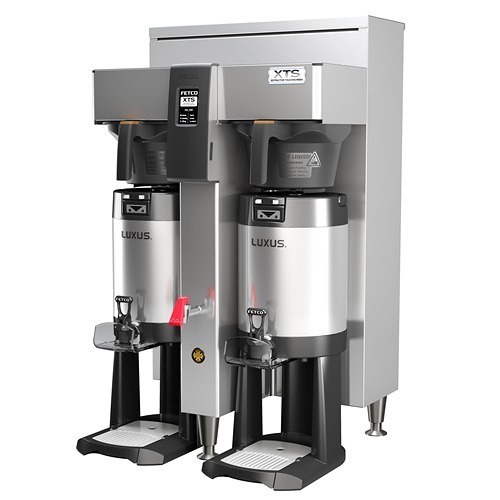 For your convenience, the base of the L4D Thermal Dispenser is equipped with a built-in drip tray with handles for easy removal and clean-up. No stand needed – it is incorporated into the server.